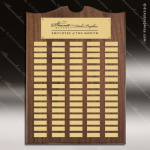 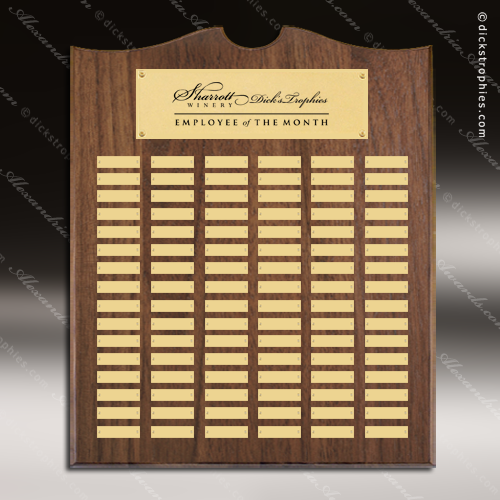 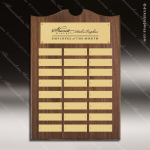 Our most popular line of perpetual plaques, appropriate for donor and alumni walls. Solid American walnut plaque with traditional scalloped design top. 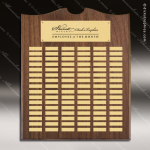 A wide choice of plate combinations to suit almost any purpose. Brushed brass plate(s). Individual plates are 7/8" x 2-3/4". Custom multi-plate plaques available. Call for quote information.